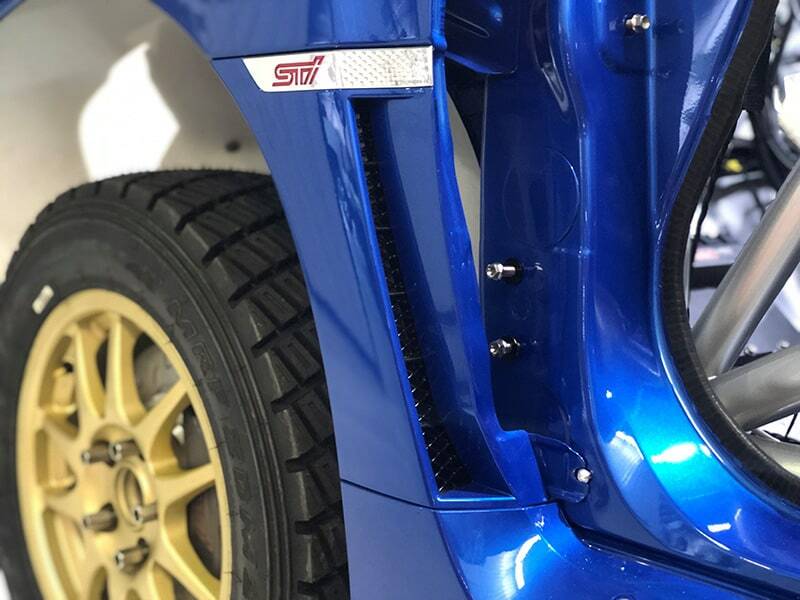 A new-look Subaru do Motorsport team is ready for its 2019 CAMS Australian Rally Championship (ARC) tilt, following a successful test of their brand new car in Tasmania this weekend. 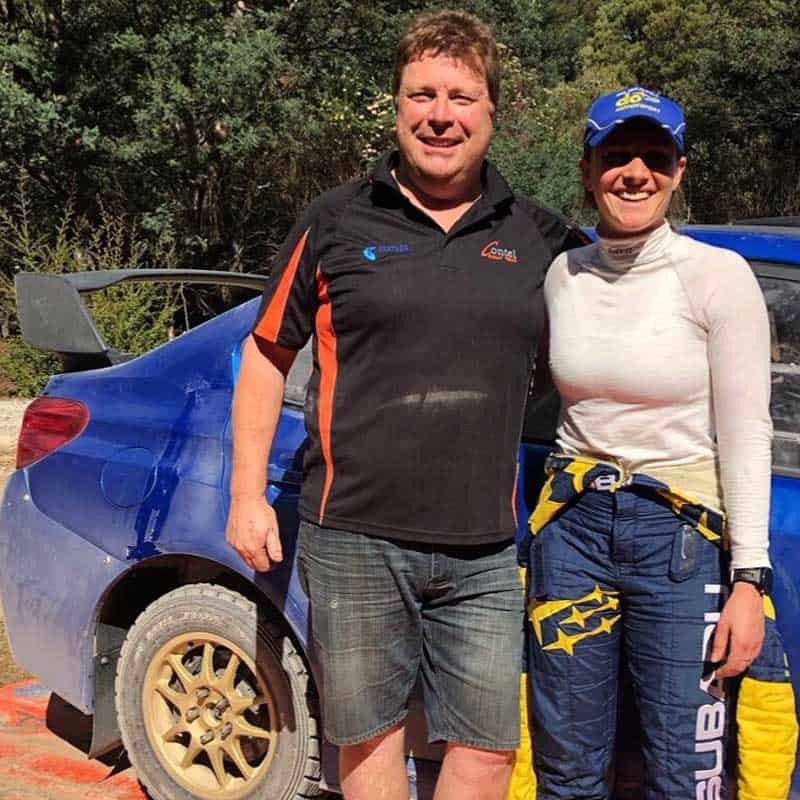 It’s been a busy off-season for the Tasmanian based team led by Craig Brooks, which has seen the construction of a brand new vehicle for 2016 Champion Molly Taylor and co-driver Malcolm Read ahead of the season opener in Western Australia. With the 2019 ARC season less than three weeks away, Brooks was thrilled with the first official testing of the new Subaru, as well as the performance of Taylor. “It was a real success because it was such an out of the box test and we were really happy. The car performed magnificently,” Brooks said. Fans got their first look at the car via social media on the weekend when Taylor posted images with Craig and the blue Subaru after testing. Team owner Craig Brooks and ARC driver Molly Taylor. Brooks’ team has previously campaigned as Contel Communications in their orange Subaru, and perhaps the only thing missing from this 2019 car was a touch of orange – a trait many fans would associate with Brooks’ time in the ARC. “We have forged a relationship with Orange Motorsport and that is an iconic part of what we do,” Brooks said. “This year, the marketing is around the Subaru brand so we will hopefully continue with that. While Brooks was thrilled with Taylor and testing, he also praised engineer Jason White and the crew for their work behind the scenes getting the car to a level to challenge for the title. Molly Taylor’s new Subaru during testing in Tasmania last weekend. “We’ve worked really hard to get it going and this year’s car is a work of art,” Brooks added. “It’s a testament to our team on what they can put together. Our engineer Jason White is amazing. What we have built in this car and what we done to try and make some performance gains is a real credit to him. “We are really enjoying what we do in terms of preparing, building the car and running the cars as best as they possibly can be and we challenge ourselves constantly. As for Taylor herself, Brooks was confident she would fit right into the team and get some strong results and hoped for a strong start to the year at the Make Smoking History Forest Rally. The six round 2019 CAMS Australian Rally Championship begins with the Make Smoking History Forest Rally on 5-7 April.